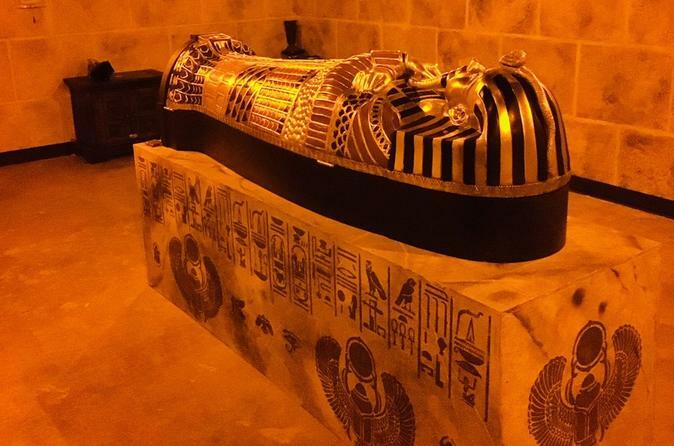 See the inside of an Egyptian pyramid right in the heart of Charlotte. Take an hour to see if you have what it takes to break King Tut's Curse - something only achieved by solving a collection of challenging puzzles and riddles designed to make think in ways you've never thought before! This escape room is for 2-10 players, takes about an hour to play, and runs 7 days a week.